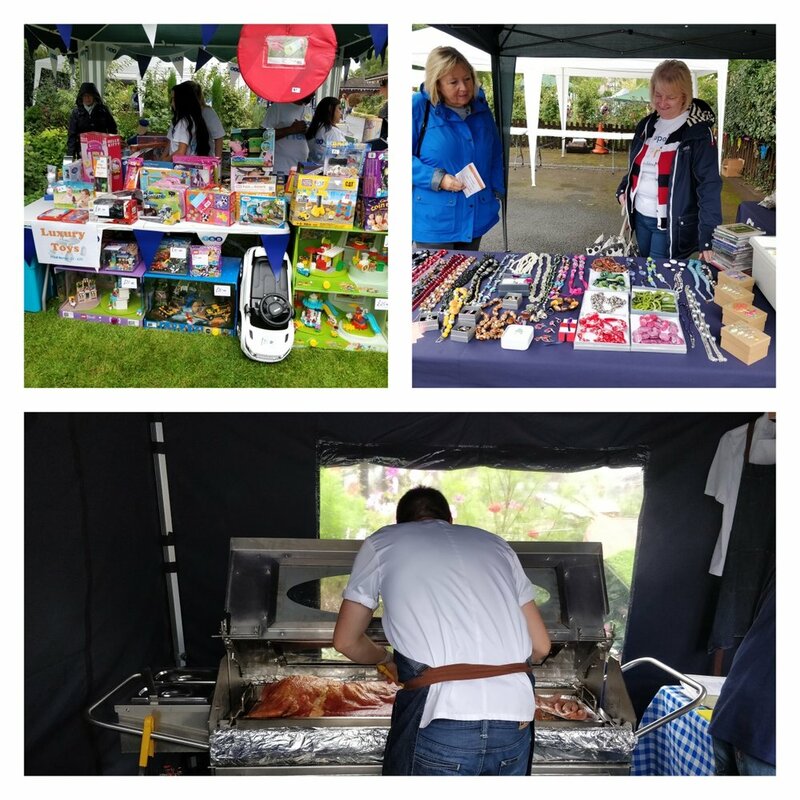 Saturday 8th September saw the Five of Nine Club return to Acorns Children’s Hospice, Selly Oak, Birmingham taking Freemasonry into the Community to support them at their summer fayre. This year, however, is quite a special one for this incredible charity, as they celebrate 30 years of helping children and their families. Our events secretary Bro Dan Norman had rallied the troops and been our contact for this annual fundraising day. We had arranged to assist Acorns with a number of roles to include stewarding and attending the car park. On arrival, our Chairman Bro Carey Burke was quick to get us involved, and within minutes we were building the stalls and attempting to erect a menagerie of gazebos so that the wonderful volunteers at the centre could get set up ready for the arrival of the local community who are always keen to offer their support. Along with assisting Acorns in the running of the event our membership secretary Bro Warwick Wakefield who runs his own hog roasting business “Ready to Roast” volunteered his services to provide food for the day. Bro Warwick was joined by past club chairman WBro Dan Thomas on the hog roast and as soon as it arrived the air was filled with a mouth-watering aroma so much so it certainly made everyone’s stomachs rumble, to the point an eager queue had formed even before they started serving! The stall next to the Hog Roast saw the first official outing of the Warwickshire Freemasons “Let’s Talk” team where a number of Warwickshire brethren were on hand to talk openly about Masonry and promote the great work that is done by us all. We were joined by our Patron RWBro David Macey PGM and his wife Sandra who were quick to sample the food and joined in with the day’s activities. RWBro David was thrilled to see us all helping at Acorns, a charity that he has long supported and selected to be one of his “Famous Five” charities. The day was a huge success for everyone. The hog roast sold out and 100% of profits were donated to Acorns Hospice, and thanks to a donation from the Warwickshire Masonic Charitable Association, who paid for the hog we were able to hand over a cheque for £668. This was gratefully received by Acorns Children’s Hospice. Our work here, however, was far from done, once the day had ended we stayed behind to help with the breakdown and clean up much to the delight of the Acorns regular volunteers! We had a fantastic day supporting what can only be described as a one in a million charity that works so hard for children and their families when they need it most. 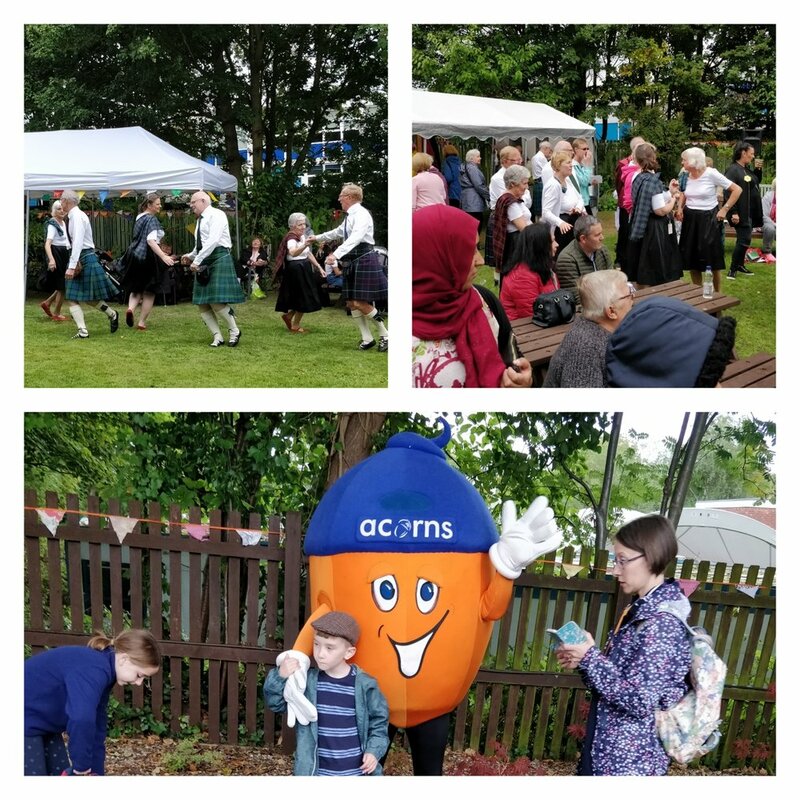 The club is honoured to have been able to help Acorns and delighted to hear that they raised £668 during the day which will go on to help pay for care and support. We are sure to be back at Acorns in the future and can’t wait to get involved again, if you have a local charity that could benefit from some help from the Five of Nine Club we would be pleased to hear from you, please email club secretary Bro Carl Foster at carl.foster@fiveofnineclub.org.uk with details. Many Thanks to all the Club members who came along to help on the day and a huge thanks to Bro Warwick Wakefield of “Ready to Roast” and Warwickshire Provincial Grand Lodge for their support.